Saul of Tarsus was a Hebrew scholar, educated at the feet of Gamaliel, who was a famous rabbi of that era. Saul was a career Pharisee who spent his formative years studying the Hebrew Scriptures, teaching and spreading the message of Judaism. He persecuted the early church in his zeal as a Pharisee, and his Jewish credentials were impeccable. (He referred to himself as “faultless” in the eyes of the law in Philippians 3:6). He was mentioned as the official consenting to Stephen’s death in Acts 6, a man feared by followers of the Way because of his aggressive self-righteousness. Shortly after he endorsed Stephen’s execution, however, he encountered Jesus in a vision while traveling to Damascus. 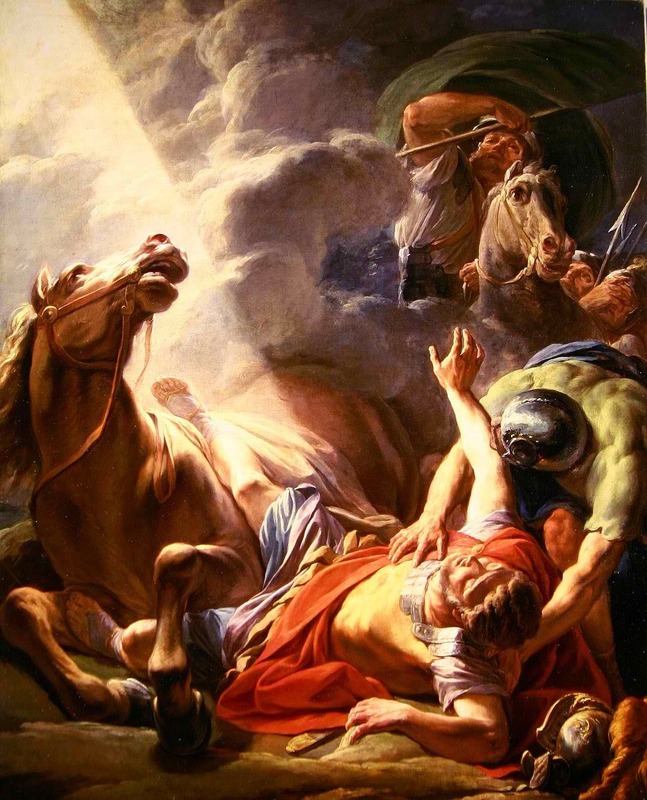 It was certainly a dramatic conversion that sent shockwaves through the early church. He embraced the reality of the resurrection and began to follow Christ with the same zeal he previously applied to persecuting believers of the Way. He became perhaps the greatest Hebrew apologist the world has ever known, and his missionary efforts spread the good news all over the world. At the time he wrote this passage to the Corinthians, most of the witnesses he referred to were still alive, and could still verify that what he said about Christ was true. Had his statements been false, he would have been branded as a lunatic, and the Christian movement would have died along with the generation who invented it. Instead, believers with changed lives held resolutely to the Gospel in spite of suffering persecution and even martyrdom. That’s what Paul did, along with thousands of other believers. If you haven’t read his letters, they can be life-changing, and they are amazing in their ability to connect the work of Christ with God’s revelation through the Old Testament. Read some of his Epistles, and you will be impressed with his logic, his knowledge, and the inspiration behind his work. He gave an impressive testimony about who Jesus was and what his teaching meant. His testimony still counts as eyewitness because in the real world he was an enemy of those who followed Jesus until he encountered Jesus himself, and then he began to connect the dots. It’s really the same for all of us—a lot of things aren’t clear until we encounter Jesus. But once we put him in the proper place, there are so many things that suddenly make sense. Once you have received the things of first importance, give them first importance. Tell me, do you think it strange that everything in life can change? On roads where countless men have trod, can one lone man encounter God? Can a Scholar change his mind? Can the sighted see, though blind? Will a zealot cease to kill and change his heart, and change his will? Can see that love–not law–is right, and move from darkness into light. This entry was posted in Daily Devotions, Poetry, Thought for the day and tagged 1 Corinthians 15:3-8, Apostle Paul, Bible, Daily Wisdom, Devotional, inspiration, Jesus, observation, Paul, Saul of Tarsus, spiritual by admin. Bookmark the permalink.